Coolkid Cannon feat. 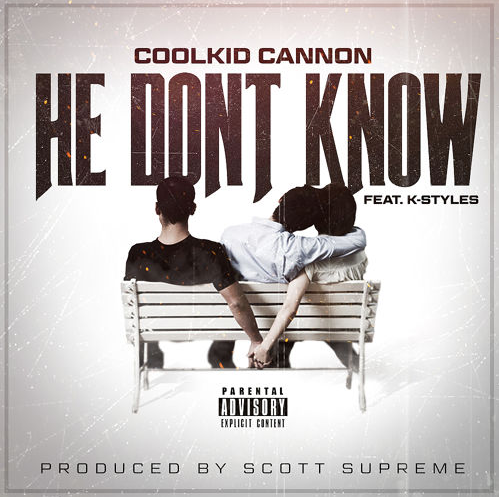 K-Styles - "He Dont Know"
The flyest way of cheating at it's finest! Produced by Scott Supreme. Cannon has K-Styles assist him on the who, what, when, where, why and how he can get a girl to creep with him without her man even knowing.